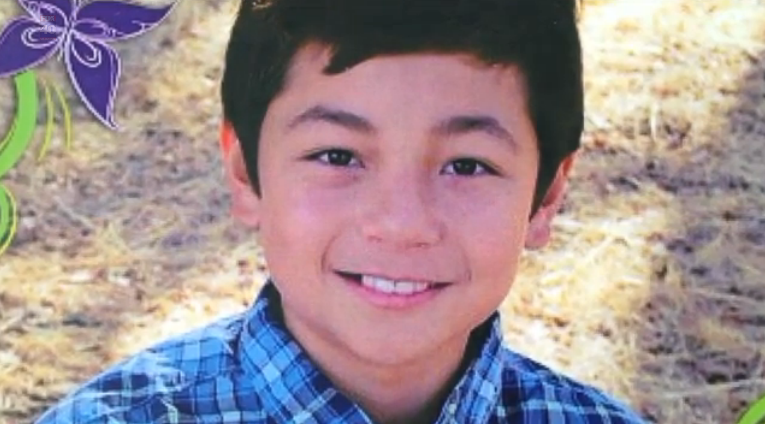 12-year-old committed suicide last month due to bullying. FOLSOM — Hundreds of people attended a celebration of life service for Ronin Shimizu on Jan. 10 at Lakeside Church in Folsom. The 12-year-old took his own life on Dec. 3. According to family and friends, he was bullied for being the only male cheerleader on Folsom Middle School’s Vista Junior Eagles squad. He was moved from school to school and ended up being home-schooled because of the bullying. Still trying to cope with the tragedy, which has drawn international attention, family members did not speak at the service. The seventh-grader is survived by his parents, Brandon and Danielle, and a younger brother, Ryden. Pastor Brad Franklin, lead pastor of Lakeside Church, officiated along with Kevin Kent, middle school pastor. Robin Drummond, chaplain with the Sierra Law Enforcement Chaplaincy, delivered the eulogy. Drummond noted that Ronin’s favorite holidays were Halloween, Christmas and the Fourth of July, and that he was in charge of decorating the family’s Christmas tree. “Early on in life, Ronin discovered he was very flexible and love to do the splits and cartwheels,” Drummond continued. “From there he started doing tumbling and gymnastics, which eventually led him to try out for the cheer squad, where he became the first male cheerleader for the Vista Junior Eagles. He really enjoyed showcasing his talents and being a part of that cheer team. “Ronin was perhaps one of the most social kids out there. His parents often referred to him as a ‘social butterfly.’ He was never afraid to meet new people and make friends. Drummond concluded, “Although his time with us was ever so short, he touched our hearts and he made an everlasting impression on so many. He always gave us the best hugs and his smile would light up a whole room. Ronin will always be remembered for being a loving, sensitive, smart, compassionate, and empathetic person who always followed his heart. As a tribute to Ronin’s life, members of Boy Scout Troop 134 opened the service with a flag ceremony. In lieu of flowers, the family asked that memorial gifts be made to the Ronin Shimizu Memorial Fund at www.gofundme.com/ronin-shimizu. More than $22,000 of the $25,000 goal has been raised by 490 people. The fund will cover a portion of the funeral expenses and will be used for the creation of an organization or the support of current programs to put an end to bullying. The parents have said they want to do everything they can to prevent this sort of tragedy from happening again. On Jan. 3, a gathering was held at Russell Ranch School to mark the one-month anniversary of Ronin’s passing. The family was joined by children from the community, who released 100 neon green balloons (Ronin’s favorite color) and shared memories of Ronin. For more information, visit the “Ronin’s Voice” page on Facebook, which is approved by the parents.